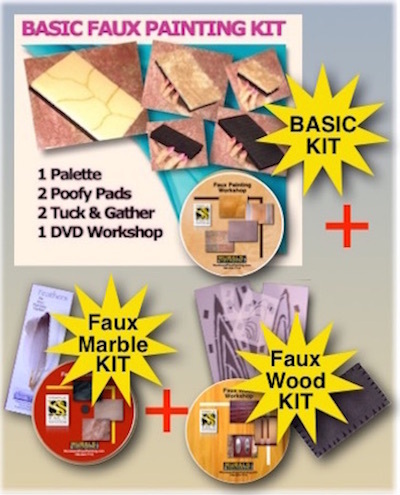 Basic Faux Painting Kit (DVD and 5 tools) PLUS Faux Marble DVD and set of 3 feathers for veining. 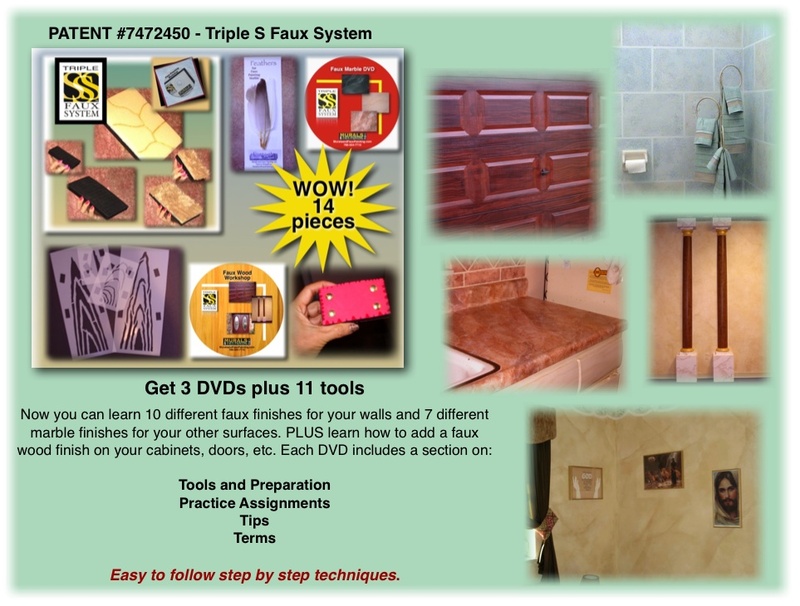 In addition Faux Wood DVD, 4 stencils and wood graining and hand painted color swatches, tool. Save money by buying this combo offer. You should order some other supplies you will need like glycerine to get more open time with your glazes.